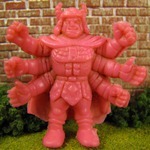 Frankenstein-Like Amalgam Figures – HUGE Updates! There is just too much good stuff to add, and not enough time. 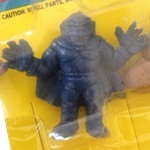 Over a month ago Kyle H. submitted some great pictures of the first ever examples of packaged Frankenstein-Like Amalgam figures. 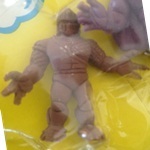 The University of M.U.S.C.L.E. 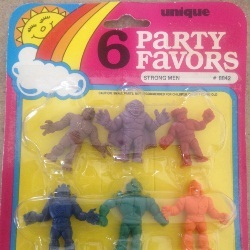 reached out the creators of these figures – Unique Industries Inc. They were unable (or unwilling) to provide any information about the figures. Although, the customer support person could not hide her surprise when someone was asking about such an old product. The biggest surprise that accompanied Kyle’s discovery was some information, and pictures, shared by Lucas Rage. 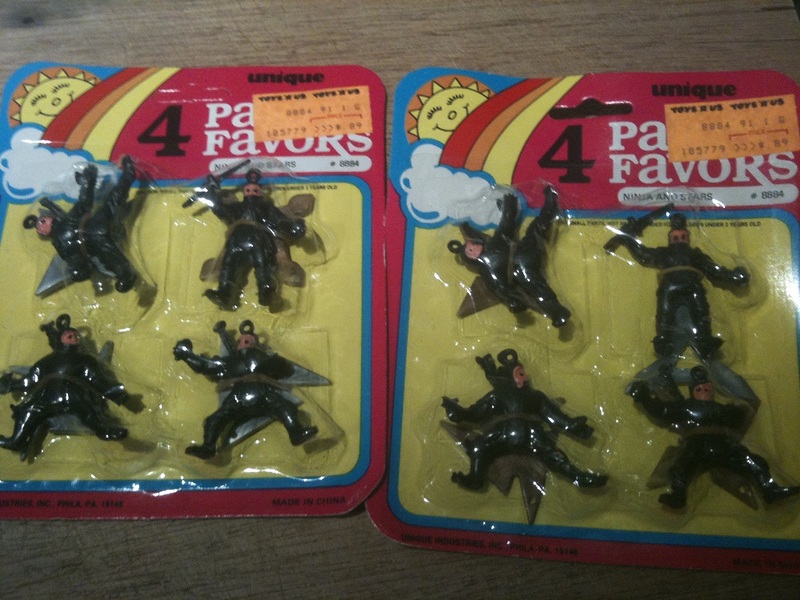 He had a carded 4-pack of figures, Ninja and Stars, with identical packaging. Given all of this information, it appears that the Frankenstein-Like Amalgam figures’ brand has finally been identified. They are the Strong Men. 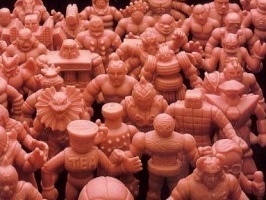 New colors of the previously discovered figures have been added to the visual archive. 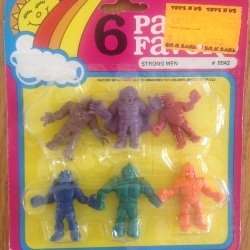 One of the two 6-packs also had a previously undocumented figure. This means collectors will need to submit new names (in the Comments section below) which will be put up for voting at a later date. New potential names will be accepted until voting begins. 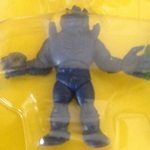 At first glance it appears that the term Frankenstein-Like Amalgam figures should stop being used. 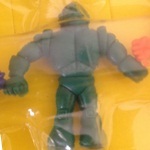 That all of the figures are simply Strong Men figures. The previously documented figures have all shared similar colors (i.e., Red, Dark Brown, etc.) and none have been particularly bright. 1. 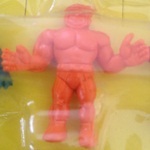 The Strong Man brand of figures also has a brighter set of colors. 2. 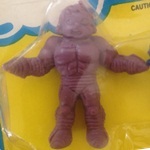 The Strong Man sculpts were copied and produced by another company. 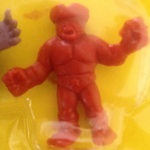 In the immediate future the term Frankenstein-Like Amalgam figures will continue to be applied to all different colors of these types of sculpts. However some consideration needs to be given to dropping the term altogether and referring to this group of figures as Strong Men. This entry was posted on Thursday, May 10th, 2012 and is filed under Art, UofM News. You can follow any responses to this entry through RSS 2.0. You can skip to the end and leave a response. Pinging is currently not allowed. Just to clear up any confusion since I was asked if I had more than 2 6-packs. 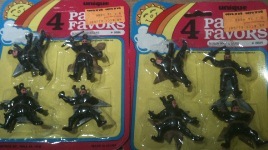 Example pic #2 and #3 are of the same 6-pack. 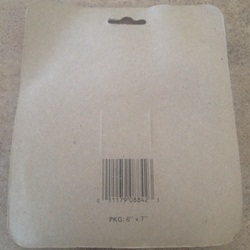 The only difference is that #2 has the price tag and in example #3 it was removed. 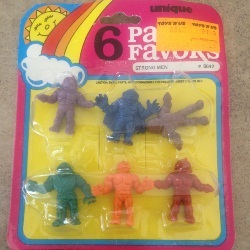 There are only two sealed 6-packs.